As part of this year’s London Design Festival, Cinimod Studio is creating an interactive lighting installation for the Exhibition Road tunnel entrance at LDF hub the Victoria & Albert Museum. For the Walk the Light installation, a band of white light will track each visitor as they pass through the tunnel, jumping to the next person as soon as they pass. Either side of the white light will be washes of strong colour, which will be pushed and pulled along the tunnel depending on the ebb and flow of visitors. The project, which Cinimod says is the first bespoke lighting installation for the LDF, will use thermal camera tracking and Philips LED lighting mounted on a moving monorail. 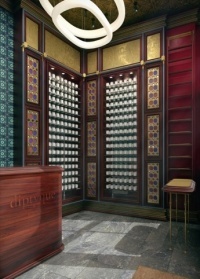 Cinimod founder Dominic Harris says, ‘I am fascinated by light and the interaction of light, architecture and art. Responsiveness is also an essential part of all the projects undertaken by Cinimod Studio. 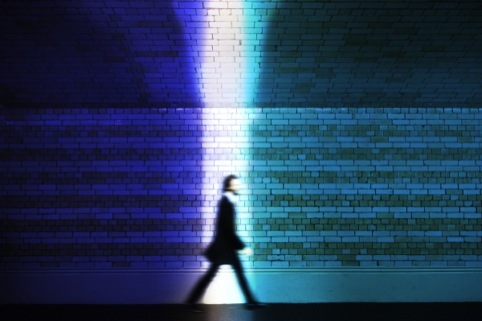 Walk the Light will be at the Exhibition Road tunnel entrance of the V&A throughout the London Design Festival, which runs from 14-23 September.